Kristen is going to be writing a post on the Cold Steel Wardens and Fantasy Flight Star Wars RPG, and I get to cover Nefertiti Overdrive. Nefertiti Overdrive is a story driven game where the more you describe, the better chance you have. The game was advertised as kung-fu in ancient Egypt, and after having played, I think it could certainly be described that way. It could really be anything and be described any way, and that makes it an interesting game to play. The characters are set-up to be in ancient Egypt and as the title suggests the source material is set-up that way as well, but it is something that could be played across any setting from high fantasy to over the top sci-fi. The game is driven off of four core skills.These skills have specifics under them, so I had a character who was an assassin and a child of the streets, so as I described things, I would have to include on of those things. So I’d describe how I’d attack and I had hit each of the four categories. Depending on how well I did, that would determine what sort of dice I would get to roll. 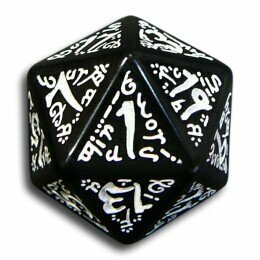 Some of the categories would start with a d6 (six sided die) and would go up to either a d8 or a d10. So the better you did, the better your results could be. My theory was generally to keep talking until I couldn’t come up with more, and I generally got the higher dice. These skills are really only used for combat and there can be social rolls that you can do, but they didn’t come up all that often in the game we played, except for when we interrogated some assassins that tried to kill the princess. It would be interesting to see if in a longer game more of those social rolls would happen. Combat had another interesting feature. From the pool of dice that you’d roll, you’d use some of the dice to see if you’d act or be acted upon by the bad guy, then you’d see how many times you got hit, and finally you’d see how well you could defend yourself. It meant that you had to really keep track of your dice. When we started playing, it was kind of slow, we didn’t know exactly what we were doing, but as it went on longer and we figured out the math faster, it ended up being a good way to keep the stress in a combat. It definitely did take some time, so it wasn’t until the last combat or two that the nice stress of the system actually really set in. Finally, the coolest feature was kind of a bonus system that as players you could give to the other players. The GM (Jim Dagg) had a stack of poker chips that we used. So when we described something extra cool, a fellow player would give you a poker chip. With that chip you could invoke one of your other abilities to roll another die or to reroll a die. Once you’ve used it, it goes to the GM. The GM is keeping track of whenever you roll a 1 and it creates a pool of dice that they an use to make the bad guys even stronger. So the GM would then spend a poker chip, giving the players access to it again. It made a really fun and fluid way to help yourself as a player make really awesome moments and then would make it a bit harder again. I would definitely consider this game again. There is something that is really fun about rolling a handful of six or more dice. It makes the game go all over the place and makes some really epic stories. You really feel like you are a hero and it makes for a fun time. I wonder what it would be like to play the system in another setting. I think that it could make some really cool and zero gravity would allow a ton of kung-fu style action, and I think beyond the GM, it would be easy for anyone to pick up quickly. A role-playing game, at its base, is a cooperative storytelling game. There is one person, usually referred to as the game master or dungeon master (also, GM or DM), who leads the story, but the players develop the characters, as well as the actions that flesh out the story and direct which way it goes. There are certain times where dice are then used to help determine decisions, what the characters know, or how combat is going. But the thing that I find the most fun about role-playing games is the storytelling, and the fact that, with some role-playing games, you don’t even need the dice to tell the story. Aren’t there a lot of rules? Aren’t they hard to learn? I’m going to go with the answer to this being no. For the players, there are a relatively small number of rules to learn. And most of the time, they simply involve what numbers to add to a die roll. If players have questions about anything else, they can ask the game master, who will explain what happens or doesn’t happen. The game master, on the other hand, has more rules to learn, as they are controlling what can and can’t work in the world or in the story itself, but even for them, books like the Dungeons & Dragons Dungeon Master’s Guide and the Monster Manual lay out very clearly how things work, and the game master can even roll die to determine what the story is going to be. And since some rules are used very rarely, in such cases it’s okay for the game master to stop the game for a few minutes to give the players a break while the game master looks up a rule in a guidebook. Isn’t it hard to come up with a story? Yes and no. Since role-playing games are cooperative, they make it easier to ad-lib a story, as the players are helping to fill in the details that the game master hasn’t come up with. And often, the players will do something that is completely different than the game master expected. So the trickier part for the game master is often adjusting the story on the fly and moving around within their mental map than actually coming up with the story itself. There are also many pre-made modules for the many different systems that you can play. With these, you just add in more details to the world already presented to you, since the heart of the story is already laid out. This does bring up something called “railroading,” which happens when a decision is taken out of the characters hands and they are forced to go a single way dictated by the pre-made story. More of this with new players isn’t a bad thing, as long as people are having fun and learning. But eventually, you will want more of an open world where there are stories and hooks for the players to latch on to, but within which they can choose to do different things. Now, I’d recommend sticking as close to the rules as you can at first to learn the game, but find a group of people that you can have fun with and play with them, and take yourself as seriously or as goofily as the group wants to within the game, and just run with it that way. And if the first group you play with isn’t the right one for you, go ahead and find another one if you find that role-playing games are something that you really like, and try again, because there are many people who play out there.